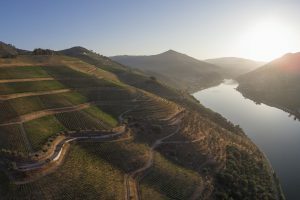 Located in the center of DOC Douro, it is characterized for its 8 terroirs, very marked by mountains, different altitudes and sun exposures, schist soils and the characteristic climate of the Douro valley. 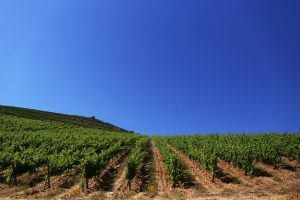 In the vineyards dozens of indigenous grape varieties were planted, according to Organic Production and Integrated Production. 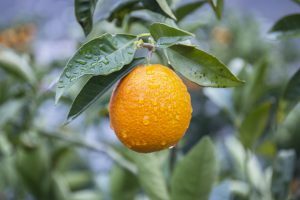 The olive, orange, almond and Mediterranean forests help maintain the balance of the ecosystem. EXPLORE QUINTA DOS MURÇAS IN THE MAP BELLOW. Old vines planted in schistose soils in vertical rows at altitudes between 460 ft and 555 ft, facing south and west. This wine comes from a plot located on the margin (margem) of the Douro River, which characterizes the vineyard’s terroir and produces highly concentrated, ripe grapes. 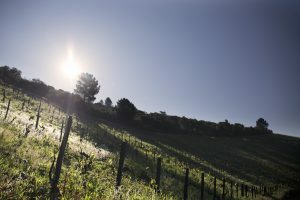 The vineyards are planted in schistose soils both vertically and on terraces at altitudes between 360 ft and 985 ft. South-facing, there are five water springs (called minas) that help to cool the area and influence the vineyard’s terroir. 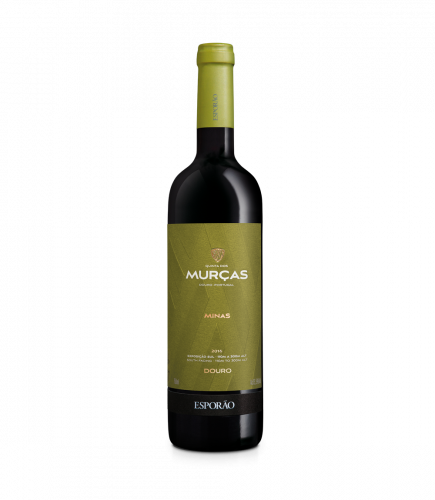 This is a concentrated wine, with a balance of ripe fruit and the characteristic freshness of Quinta dos Murças. The first vertical vines in the Douro, planted in 1947. 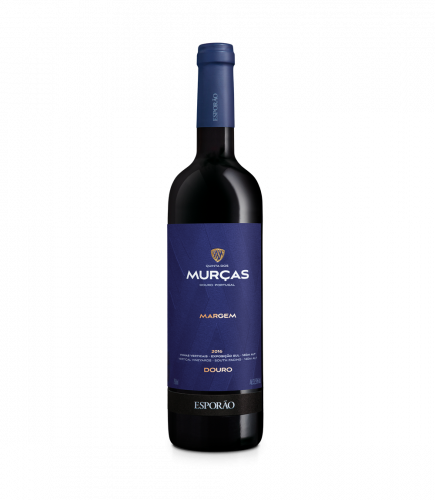 The ultimate expression of our terroir characterized for its elegance, harmony and complexity. Old vines planted in schistose soils in vertical rows at altitudes between 490 ft and 915 ft, facing west. 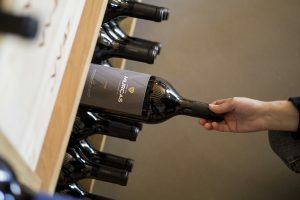 This is the classic version of a quinta (estate) wine, where the emphasis is on the terroir to produce elegant wines with great aging potential. 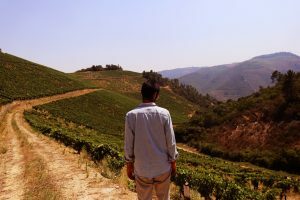 A glimpse of the harvest in Douro. From the rooms to the wineries, discover our House at Quinta dos Murças, Douro (Portugal). 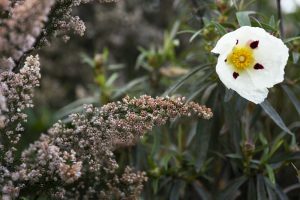 And its impact on our Douro wines. 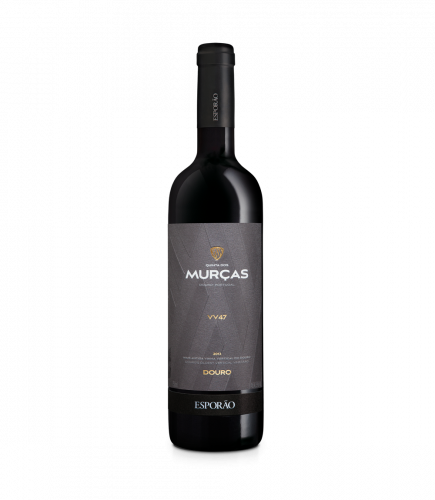 Almost 10 years later, learn more about Esporão in Douro. 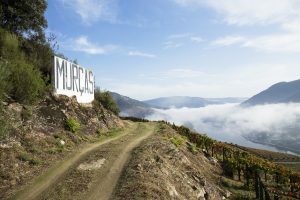 José Luís Moreira da Silva takes Quinta dos Murças wines to another continent. 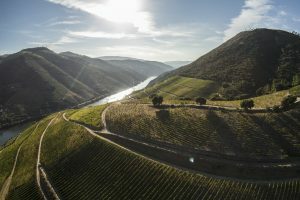 All the senses very much alive, in Douro, this time of the year. 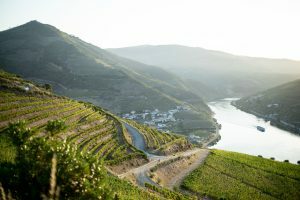 Find out the main characteristics of our 'home' in the Douro. 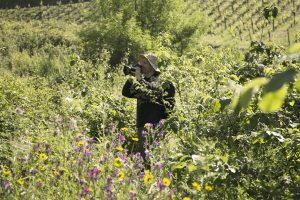 Discover Quinta dos Murças through the eyes of the photographer that has accopanied us since 2008. Sun exposure has great influence over a wine profile. Learn why. 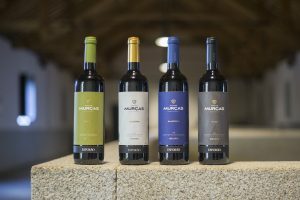 The creation process of Quinta dos Murças’ new wines. 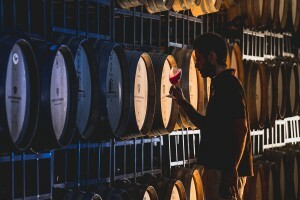 The wine maker José Luís Moreira da Silva evaluates a year of work. 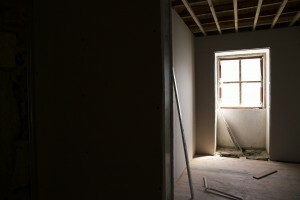 Know the historical pillars of the estate. 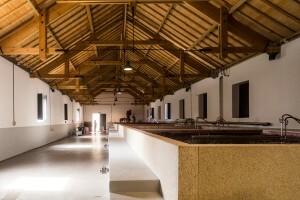 Learn more about the place where we vinify our Quinta dos Murças wines. 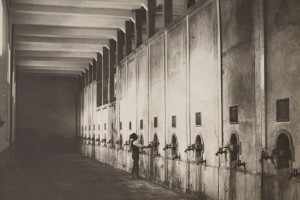 Take a look at our Douro cellars. 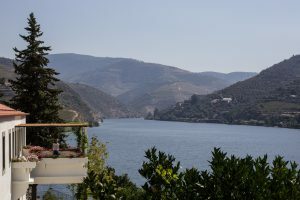 On the right bank of the Douro River, stands the estate with a history dating back to circa 1714.